A rendering of some of the improvements planned for the Douglas railroad underpass. The City of Wichita is moving forward with its plans to upgrade the Douglas Avenue railroad underpass. 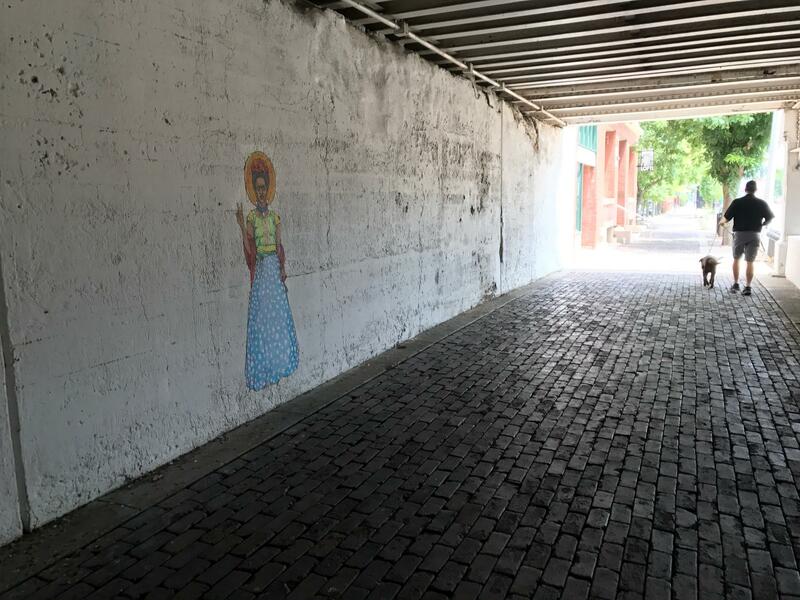 The aging underpass in downtown Wichita, just next to Union Station, will get some structural and cosmetic improvements, including new rust-red paint and pedestrian lighting. The project will also include pigeon mitigation, such as the removal of perches and roosts. Downtown Wichita president Jeff Fluhr says the bridge is consistently a target of downtown cleanup efforts. The current state of the underpass. "I know all of you have walked there. It crunches when you walk," he says. "And it's not because you're on gravel, it's because you're walking on deposits from the pigeons, and so it is a health issue." City Council members this week voted to spend more than $2 million on the renovation, bringing the project's total budget to $3.6 million. The funds are included in the city's Capital Improvement Program. Officials say 2016 was a good year for launching new projects in downtown Wichita. More than $280 million have been invested along Douglas Avenue alone. The Wichita City Council on Tuesday approved a Tax Increment Financing, or TIF, plan for the redesign of Naftzger Park downtown.